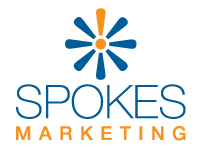 Spokes Marketing is a certified Google Partner. What exactly does that mean? Google Partner status means that our company employs qualified, experienced individuals, certified by Google, who know how to run the most effective online ad campaigns for our clients. Certified Analysts and Account Managers. Google Partners need to have certified employees on staff and over-seeing your Adwords* Accounts. This guarantees that you will receive the level of care that Google requires. Complete Use of Applicable Features on Your Account. There are a tremendous number of features and settings that affect an Adwords campaign. Having a Certified Partner ensures that they will use all the features and settings available to them to make sure the campaign runs most effectively. Some of these may include Shopping Ads, Negative Keywords, Sitelink Extensions and more. Quality Customer Service. Google monitors and reviews each account to determine if the clients are being cared for in the proper way. Regular reviews of our ‘Master’ Account allows us to make sure that we are delivering the quality of service that Google expects. New Google Beta features. Testing and innovation are part of Google, and how the internet continues to grow. Using new Google features in your campaign before other people can lead to an advantage over your competitors – we can help you with this! Ability to quickly respond. Google Partners have access to Google reps and can get questions answered more quickly than agencies who do not have this certification. *Glossary: What is Adwords? The system where advertisers can bid to be placed on Google Search Results pages, in display ads on websites and on YouTube and other sites. Want to learn more about working with a Google Partner Agency?